CSK vs KKR: Who will win Today’s IPL Match Today? The Indian Premier League (IPL) now heads to the MA Chidambaram Stadium where Chennai Super Kings (CSK) face Kolkata Knight Riders (KKR). Both the teams head the IPL table after 5 matches as they have the exact same number of points (8) but KKR lead due to a better net run-rate. They have been extremely impressive in all their matches so far in the league. While Andre Russell has been the star-man for KKR, it has been all-round team performance for CSK. 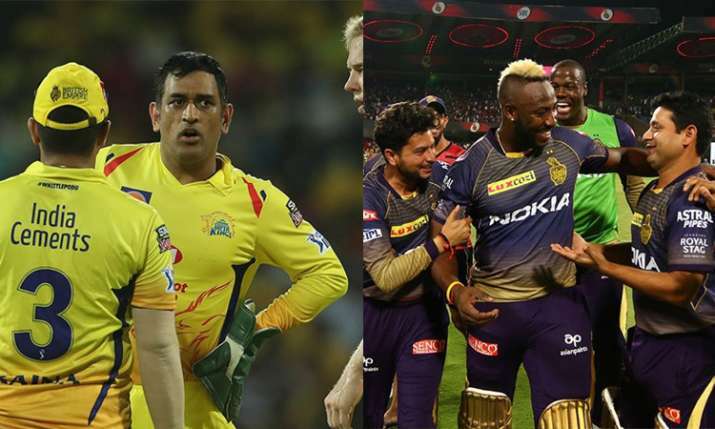 From Faf du Plessis, Mahendra Singh Dhoni, Suresh Raina to Harbhajan Singh and Imran Tahir, everyone has contributed to CSK’s success in the IPL so far. The only worry for them has been the form of their opening batsmen Shane Watson and Ambati Rayudu, who have failed to get going in the tournament. On the other hand, Russell has won several matches for KKR single-handedly with his power-packed batting. But in the last match, KKR did not need Russell magic as they chased down Rajasthan Royals’ target with 8 wickets in hand. Sunil Narine and Chris Lynn were the stars of the show as they plundered 91 runs in just 8.3 overs to take KKR to victory. 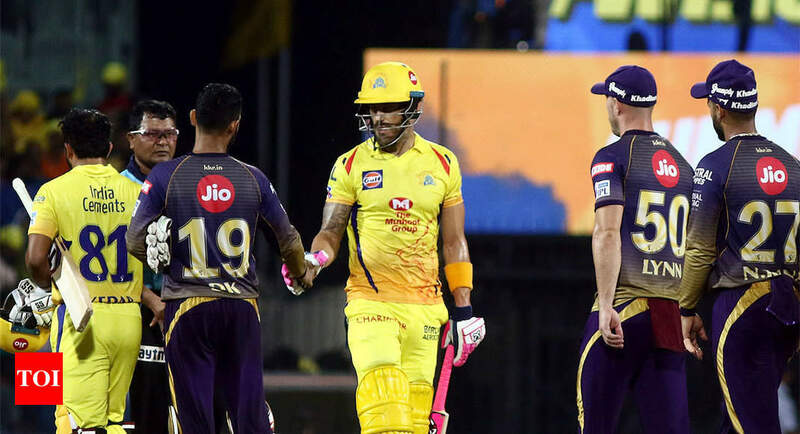 But still CSK captain Dhoni will be wary of the threat provided by the big West Indian at Chepauk after his innings of 88 runs in just 36 balls in their last match in Chennai. So before the two teams enter the field in Chennai. Suresh Raina is the top run-getter in fixtures involving CSK and KKR. The left-handed batsman has amassed 664 runs against KKR. Robin Uthappa has the most number runs against CSK for KKR with 307.